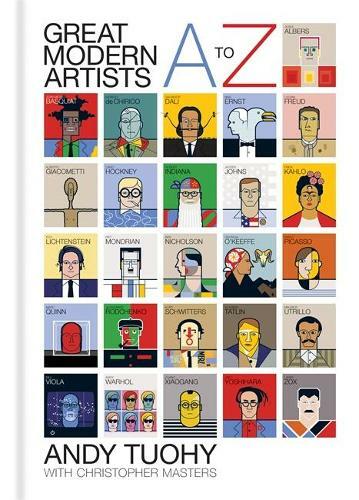 A most striking, design-led reference book, A to Z Great Modern Artists features artist and graphic designer Andy Tuohy's portraits of 52 key modern artists, rendered in each artist's own characteristic style - including Aleksandr Rodchenko in his constructivist poster style, Andy Warhol as a classic repeat print, and Barbara Hepworth illustrated to resemble one of her distinctive bronze and rod sculptures. With expert text by art historian Christopher Masters, each artist's entry includes a summary of the essential things you need to know about the artist; their biographical details, why they're so significant, where you can find their works today, and a surprising fact about them plus reproductions of key works. Whether you're already an art expert, or looking for a helpful cheat to navigating around a gallery, you'll love this stunning and intelligent guide to global artists of the modern age.